"We came away with a lot of great information and advice we can use to make informed decisions about study and career options." 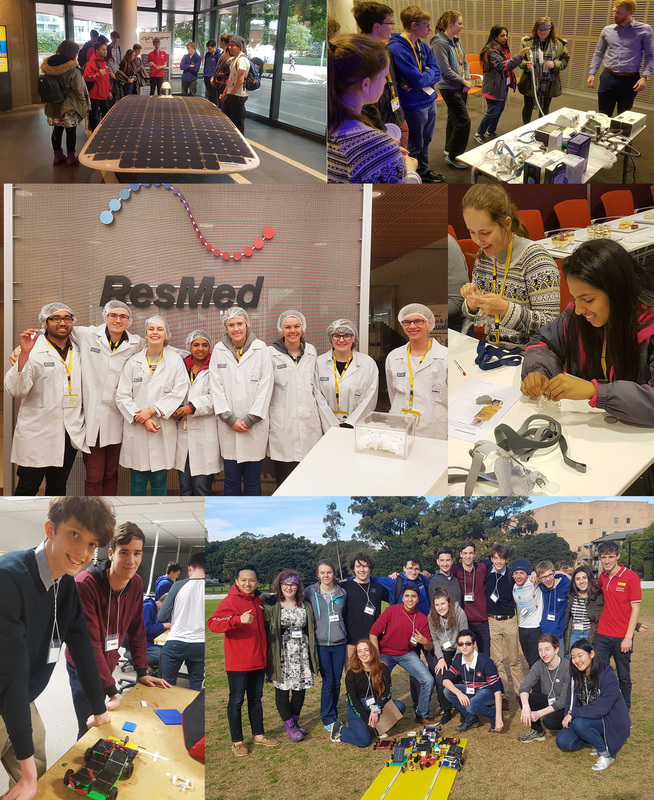 The National Youth Science Forum (NYSF) continued its Next Step program in Sydney this July over a two-day period. 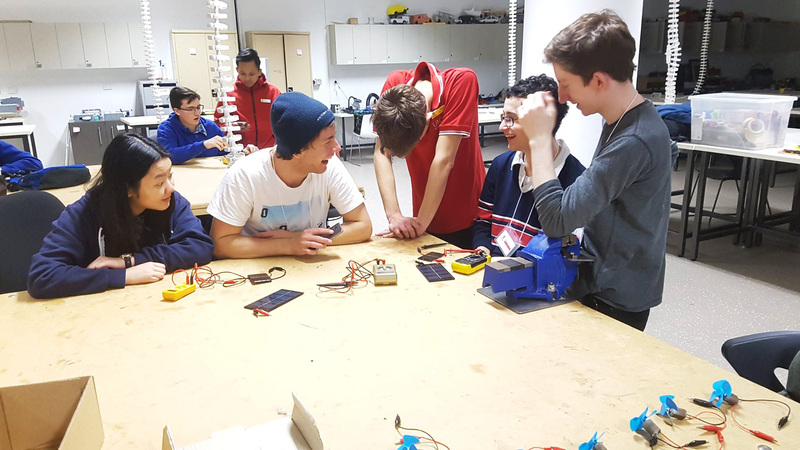 The Next Step Program is an extension of our January Year 12 Program – allowing the current year’s participants with the opportunity to further their knowledge about career and study options available to them. Day one saw visits to our partner organisations ResMed and Cochlear in the morning and the Sydney Observatory and Powerhouse Museum in the afternoon. At ResMed students toured the facilities of one of the biggest chronic sleep disorder device corporations in the world. They explored the ResMed manufacturing warehouses, had discussions with leading research and development engineers, and tried their hand at assembling various sleep apnoea devices. During the Cochlear visit participants went behind the scenes for a glimpse into the hearing implant market and saw why Cochlear is a world-wide market leader. In an interactive exhibition at the Powerhouse Museum, participants were transported back to Sherlock Holmes’ Victorian London to try and crack the case by conducting their own experiments. Isabel Beaumont, one of this year’s cohort said NYSF’s Next Step program was a valuable addition to the January Year 12 Program. “The Next Step programs are always useful as they further broaden your understanding of all the possible careers in science. The are also a great way to reconnect with friends from the NYSF," she said. During the evening the NYSF held an Alumni Event that you can read about here. At the Sydney Observatory, in the heart of the CBD, students looked through a telescope over a century old, as well as more modern equipment. They viewed sunspots on our Sun, and the largest planet in the solar system, Jupiter. They also discussed career options with Danica, the tour guide, who is completing a PhD in Astronomy. The following day students visited the University of New South Wales (UNSW). There were multiple visits available such as the opportunity to build and engineer solar cars, explore the Museum of Human Diseases and listen to lectures about psychology, optometry, medicine and various other degrees. NYSF alumni who are at UNSW studying degrees across science, medicine and engineering, visited the group, and heard about the amazing scholarship opportunities UNSW offers. NYSF 2017 alumnus, Ben Kirsh said he got a better insight into university life after visiting UNSW. "It was really good to see the uni (UNSW) and the student tour guides were great because they showed you the side that isn’t portrayed in the open day brochures. They gave insider knowledge of senior students which I thought was pretty cool ... and confirmed to me that attending UNSW next year is very possible. All in all we came away with a lot of great information and advice we can use to make informed decisions about study and career options into the future." Ben also felt that Next Step gave him additional information about future career and study options. "Next Step was very useful as it allowed the opportunity to see other (NYSF partner) universities such as UNSW and talk to students currently studying a range of degrees in differing fields to question them to see which may fit myself the best. It also allowed me to catch up with people I met at NYSF, as well as meeting people from other sessions," he said. We would like to thank our partners for their continued support and in particular those organisations that participated in the Sydney Next Step Program, IP Australia, UNSW, ResMed, Cochlear and UTS.